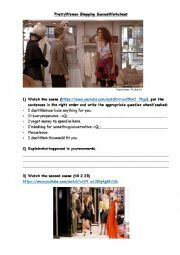 Here is a worksheet I have created to work on this video with my students: https://www.youtube.com/watch?v=uQXo1RKN-gI&t=52s. 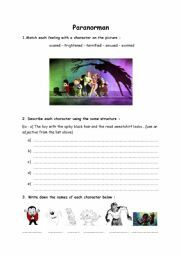 This is an easy worksheet I use with my students to revise the fear feelings and the physical description. Here�s a grid to play Categories with your students! A funny way to recap all they know about Great britain! How well do you know NY? Do you really know the Simpsons? Take the test!